In my estimation we have experienced an epoch in photography. 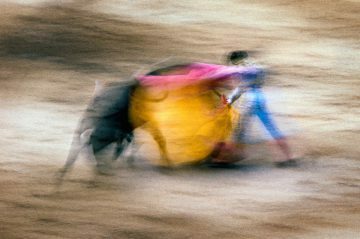 Here is a free spirit, untrammeled by tradition and theory, who has gone out and found beauty unparalleled in photography. . . .
Ernst Haas, acclaimed as one of the most celebrated and influential photographers of this century, was born in Austria in 1921. He attended medical school, but his strong artistic bent led him to the camera. He was without professional training, twenty six years old, when he shot into fame with his first essay, “Homecoming Prisoners of War,” photographed in his native Vienna. “. . . When I saw that first set of pictures, I knew I had stumbled upon a genius and I felt a chill up and down my spine. . . .” its editor remembered decades later. With this essay Haas set a new standard for delicacy of feeling and empathy in photojournalism. Its publication brought Haas two invitations: one from Robert Capa to join Magnum, the year-old cooperative of international photojournalists; the other to join the staff of LIFE magazine, the most prominent popularizer of photography of the era. Haas chose Magnum, becoming the first photographer to be invited to do so by its founders, Robert Capa, Henri Cartier-Bresson, George Rodger, and David Seymour. Within two years, Haas was working in the United States. While photographing in black and white in the New Mexico desert, he experienced a great longing for color. Thus began a life-long odyssey of exploration of the uses and meaning of color in photography. Haas’s frustration with the limitations of technology pushed him at every turn to be slightly ahead of his time. He was a technological pioneer with the eye of a painter and the soul of a poet. It has been written that before Haas there was no color photography, only colored photographs. Haas’s first color essay was on New York, the city he would ultimately make his home. 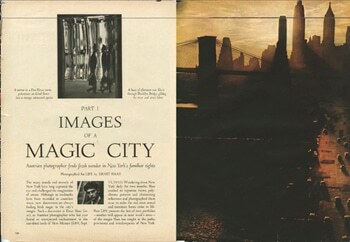 When the editors of LIFE magazine saw it, they gave it an unheard-of layout of 24 pages and called it “Magic Images of a City”. Essays on Paris and Venice followed. Ten years later, when the Museum of Modern Art held their first color retrospective, it was the work of Haas they chose to feature. 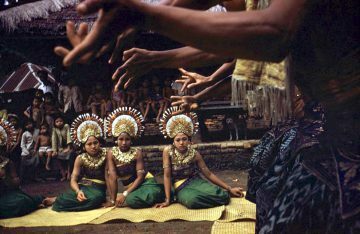 Though a Magnum photographer in the heyday of photojournalism, Haas was not interested in color as reportage. He was interested in the super-reality of dreams. To achieve this he gave commonplace objects and silhouettes new meaning. A reflection brought home the hidden depths underlying a conventional urban storefront; torn posters peeling off buildings shaped themselves into an art gallery. In his quest to produce feelings, he introduced hues and tones never before seen in printed color. And at all times his work was informed and enlightened by a guiding intelligence capable of great and quizzical humor. To express dynamic motion through a static moment became for me limited and unsatisfactory. The basic idea was to liberate myself from this old concept and arrive at an image in which the spectator could feel the beauty of a fourth dimension, which lies much more between moments than within a moment. In music one remembers never one tone, but a melody, a theme, a movement. In dance, never a moment, but again the beauty of a movement in time and space. In 1958 an international panel of 243 eminent critics, teachers, editors, art directors and other photography professionals voted on the world’s 10 Greatest Photographers for Popular Photography magazine. They were: Ansel Adams, Richard Avedon, Henri Cartier-Bresson, Alfred Eisenstaedt, Ernst Haas, Philippe Halsman, Yousuf Karsh, Gjon Mili, Irving Penn and W. Eugene Smith. Haas later pushed the boundaries of still and motion photography even further, directing The Creation sequence (based on the book of Genesis) for John Huston’s 1964 film, The Bible. His belief that a series of images seen together added up to more than the sum of their parts also led him to produce four monumental photographic books. The product of thirteen years of work, The Creation (1971) was the most successful color photography book of its time, selling over 350,000 copies. Commissioned for the bicentennial, Haas regarded his second book, In America (1975), as “a love letter” to his adopted country, a love affair that had begun when he was a boy in Vienna, his imagination aflame with stories of American Indians. In Germany (1976) represented a return to and investigation of his European roots, and Himalayan Pilgrimage (1978) showed his increasing concern with spiritual matters. In his quest for a more visually attuned world, he created the four-part television series The Art of Seeing. He felt equally strongly about his black and white photography as about his color; each was suitable for different modes of expression. In person, Ernst was a delightful man, quick-witted and funny. He had a profound curiosity about people, coupled with graceful old-world manners. Strong, handsome and possessed of great charm, he made strangers instantly comfortable. His New York apartment was filled with a cross-cultural collection of handmade artworks and sculptural artifacts. Holy Underwear is the very, very typical double-eight composition. It’s an underwear. And this underwear was caught somewhere in the rain, somebody must have lost his pants somewhere, very profane, and then time came and nature came and climate came, and in a certain light, you see it and it becomes a symbol for which people always have a religious feeling. . . . The gentle character of Tibetans fascinated him so much he devoted the last ten years of his life to the study of Mahayana Buddhism, a religion which he felt satisfied all the senses. 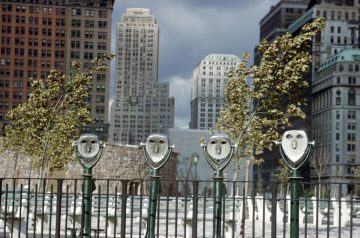 Whether he was photographing people, recording disappearing cultures, or concentrating on the marvels of nature and the seasons, Ernst Haas’ photography used spontaneity to mirror reality. In the accidental he saw the gift of life. Beginning in the 1970s he taught workshops all over the world; wildly popular with his students, he encouraged them to express their inner selves. 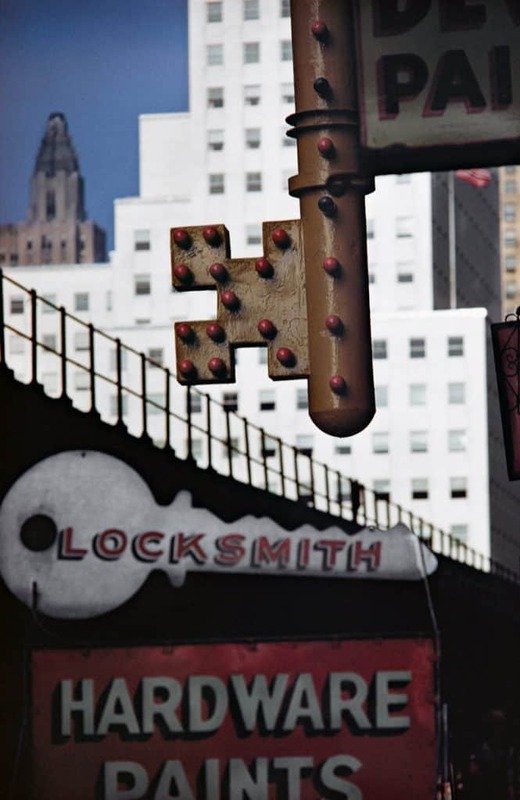 Ernst Haas died in New York of a stroke at age sixty-five. During his life, his work was shown in more than thirty solo exhibitions in the United States, in Europe, in Japan and in South America. Almost every year of his photographic life he was awarded an honor. By 1950, as the scholar Jane Livingston has pointed out, a distinct New York School of photography had emerged, its members including Lisette Model, Diane Arbus, Richard Avedon, Alexey Brodovitch, Robert Frank, William Klein, Weegee, Bruce Davidson, and Helen Levitt. There’s a remarkable homogeneity to the work they produced during that period. Collectively, they built on the models of Lewis Hine, Walker Evans and Henri Cartier-Bresson, with Action Painting, film noir and jazz as parallels in other media; treating the life of the streets as theater, they forged provocative, idiosyncratic ways of describing its dramas. Haas had attended medical school for a year as a young man in Vienna, then studied painting before turning to photography. In 1943-1944 he pursued a curriculum in photography at the Graphischen Lehr- und Versuchsanstalt (he cited Henri Cartier-Bresson and Edward Weston, both of whose images he knew from books and magazines, as his early influences), taking it up as a profession after the liberation of Vienna in 1945. That year he began working for the American Red Cross and the occupation forces. 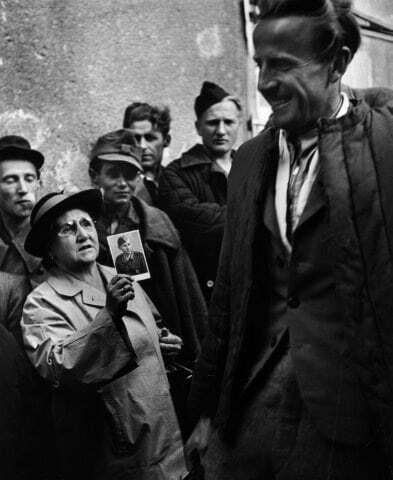 His reportage on that city’s post-war traumas and the drama of returning prisoners of war, some of them published in LIFE magazine, made Haas’s reputation in Europe and the U.S. (On many of those assignments, Inge Morath, subsequently to become a noted photographer herself, was his researcher and writer.) 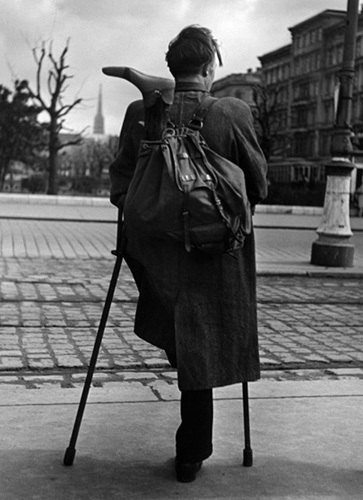 But he had sickened of his homeland during the war, so he left Austria for France in 1948, relocating himself to Paris. In 1949 he accepted an invitation from Robert Capa to join the prestigious Paris-based picture agency Magnum, a photographers’ cooperative founded by Capa, Cartier-Bresson, and other notable photojournalists; the agency’s support enabled him to function as a free lance, a status he would maintain throughout his career. In 1951 he crossed the Atlantic to stay. Of his adopted home, New York City, he also said, “I loved its pulse. I loved the directness of its people. I loved all races living together, or at least trying. . . . There is very little that is obvious in this city, only its constant change going on day by day, forming, transforming, construction, destruction.” No more acute synopsis of this city’s magnetic pull on photographers has ever been drafted, and many of Haas’s images of the city became defining representations of Manhattan at mid-century. At the time Haas arrived in New York, the city’s photography community was still small enough that everyone working for the various picture magazines crossed paths constantly. (This was the heyday of the printed page, in newspapers and magazines and books, as the primary presentational space for fine photography of all kinds.) Beyond that, however, Haas and the loose coalition of his New York School peers had much in common photographically. The hallmarks of the group’s practice included an attraction to the rapidity and unobtrusiveness of small-camera shooting under available light; a conception of the urban milieu as a proscenium; a fluid, spontaneous, gestural responsiveness to the constantly shifting scenario; an embrace of the blurs, graininess and slightly skewed quality that resulted from working under those assumptions; and the attentiveness to nuances of behavior and body language in public spaces characteristic of what Alfred Kazin called “a walker in the city” and Walter Benjamin described as the flaneur. Like his colleagues, Haas took to the streets with his cameras. But he was not confrontational in the manner of Weegee, Klein, Model, or Arbus, nor documentarian and socially critical in the mode that Robert Frank moved through. 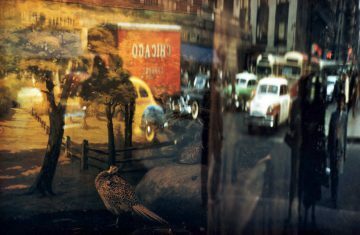 Instead, more like Saul Leiter, Louis Faurer, David Vestal, and Sid Grossman, Haas was a lyric poet pursuing a photographic equivalent of gestural drawing, utilizing such photographic effects as softness of focus, selective depth of field, and overexposure to telling effect. Haas at this stage of his work alternated between the twin-lens Rolleiflex with which he had learned to use in Austria (such instruments are held at belly level, and provide 2-1/4″-square negatives) and a smaller Leica, the 35-mm. camera of choice at the time. Eventually he would abandon the Rolleiflex for the Leica, which he used exclusively for the rest of his life. When he arrived in the States, Haas worked strictly in black & white, which was still the rule rather than the exception in reportage and which the members of this group all favored for their non-commercial “personal” work, monochrome signifying for them (as it has come to for us) authenticity and realism. Yet while he shared in many ways his comrades’ gritty, collective vision of the archetypal metropolis in the Fifties, Haas, who first experimented with Kodak color film in 1949, would be seduced gradually by the challenge of color, and would start exploring it seriously in 1952, becoming, along with Eliot Porter and a small handful of others, one of the earliest exponents of the creative potential of color photography. Eventually he would eschew black & white almost entirely, establishing himself as a master of small-camera color photography, building therein the substantial, well-known and influential body of work on which his reputation principally rests today. I never really wanted to be a photographer. It slowly grew out of the compromise of a boy who desired to combine two goals — explorer or painter. I wanted to travel, see and experience. What better profession could there be than the one of a photographer, almost a painter in a hurry, overwhelmed by too many constantly changing impressions? But all my inspirational influences came much more from all the arts than from photo magazines. 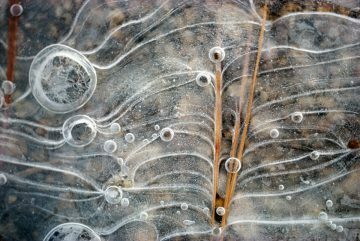 Due perhaps to his early training in the arts, Haas hewed closely to many of the traditions of small-camera photography of his day, which mandated, among other things, a minimum of post-exposure manipulation of the image. Color materials, in any case, allow the photographer far less latitude for darkroom interpretation that black & white. Yet within those parameters he experimented diversely within his medium of choice, becoming one of the first to push color photography into the realm of the poetic. What Haas looked for, and began to find, in his last monochromatic work was what he finally realized most fully in color: a photography that was not dominated by what Richard Kirstel has called “the tyranny of the subject.” Like those members of the New York School with whom he had most in common, and like another figure whose explorations must be factored into this equation, the late Aaron Siskind, Haas had grown tired of making pictures of the world and even of making images about it; instead, he’d become desirous of making images that were simply drawn from it. The teacher and theorist Henry Holmes Smith once wrote (in an essay on Siskind), “The question: ‘What was really there?’ becomes as irrelevant as what Monet’s lily pond really looked like to Mme. Monet when she rode by on her bicycle.” Haas’s mature color images come to that same conclusion. 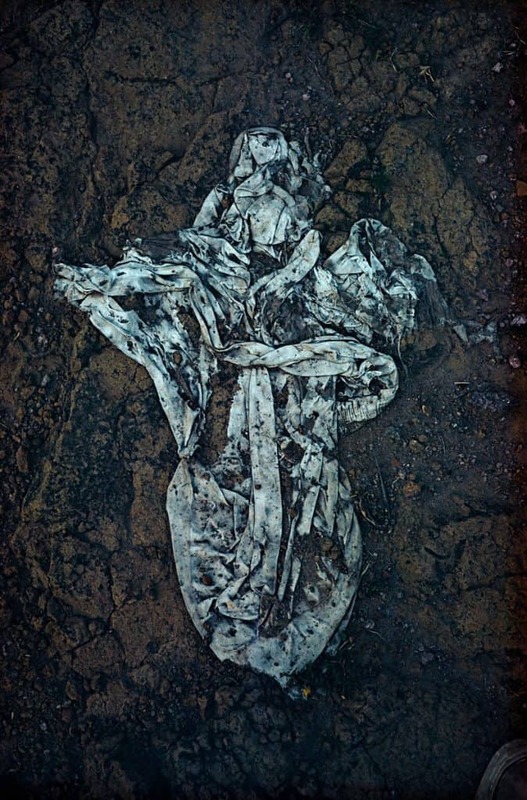 This meant that he was no longer working in the same territory as Cartier-Bresson; instead, he was positioning himself alongside Siskind, Edward Weston and Minor White, as an exponent of the metaphorical potential of the photographic image. He continued to earn his living by crafting substantial picture stories for major periodicals; between 1952 and 1960, in addition to his free-lance assignments for LIFE magazine, Haas also produced notable essays for Esquire, LOOK, Holiday, and Paris-Match. In 1960 he served as president of the American Society of Magazine Photographers, of which he had been a long-time member. His affiliation with Magnum continued through 1962; and, even late into his life, he served as an adviser for such traditional magazines as Stern (Germany) and Geo. But by the early 1960s he had begun to move past the requirements of commissioned reportage and illustrational work, into a realm of his own devising. The color in color photography has often seemed an irrelevant decorative screen between the viewer and the fact of the picture. 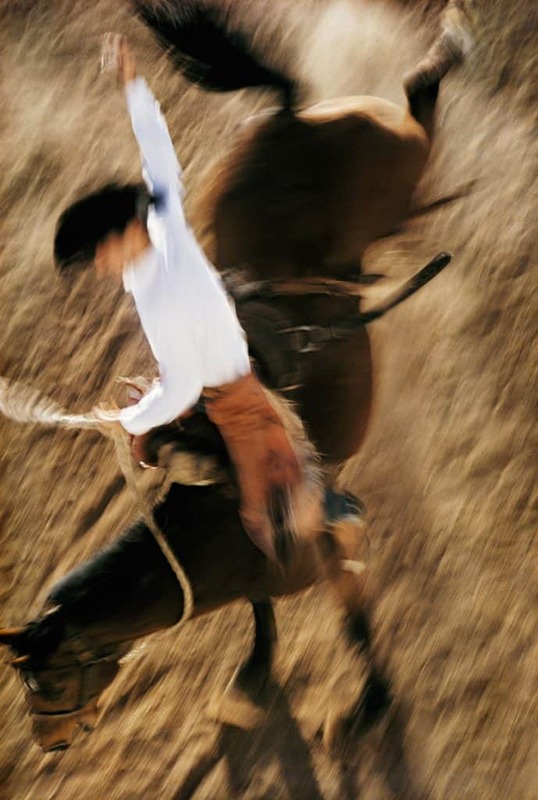 Ernst Haas has resolved this conflict by making the color sensation itself the subject matter of his world. No photographer has worked more successfully to express the sheer physical joy of seeing. As this suggests, an intensified interest in the act of visual perception had begun to infuse Haas’s thinking, and found its outlet in the pictures he made, in notes and short statements, and in interviews. Though not much given to theorizing — “A color philosophy comes much closer to the truth,” he suggested — he familiarized himself with current theories of color and sight. “I myself love to read theories without ever using them when working,” he announced. And, in the same vein: “I don’t want to declare there are no highways of fruitful directions. In learning there are. Follow them, use them, and forget them. Don’t park.” Eventually, those ideas, insights, and attitudes worked their way into the lectures he began to give in his short courses at the Maine Photographic Workshops in Rockport, the Anderson Ranch Foundation in Aspen, Colorado, and elsewhere. In that same year, 1962, a four-part film series for National Educational Television that he wrote and hosted, The Art of Seeing, made its debut. 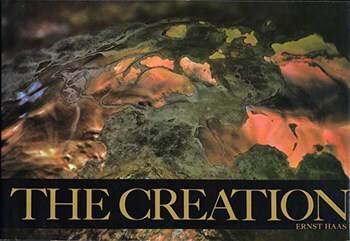 What Haas was after at that point is best represented by what many consider his magnum opus, the color monograph titled The Creation, published in 1971, almost a decade later — an ambitious attempt to achieve nothing less than a retelling of the Book of Genesis’s version of the birth of the world through photographic imagery, made as if imagining himself the first human, opening his eyes to the planet for the first time. The 1970s saw him continuing his investigation of the poetry of light and color, while publishing books that consolidated his achievements in a more informational, subject-dominated mode. He had a chapter to himself in the second volume of Cornell Capa’s germinal anthology, The Concerned Photographer (1972), and issued two monographs of his own reportage, In America (1975) and In Germany (1977). In 1979, he published Himalayan Pilgrimage, with a text by Gisela Minke. Late in life, Haas said of himself, “I want to be open to everything in this world, and I am even willing to unlearn.” That possibility of self-critical “unlearning” he’d exemplified in his conversion from black & white to color and his evolution from journalist to poet. He also wrote, “Important is the end result of your work: the opus. Therefore, I want to be remembered much more by a total vision than a few perfect single pictures.” He’d begun moving beyond the single image early on, developing that “total vision” first in the extended form of the traditional photojournalistic “picture story,” then in his more experimental, impressionistic magazine layouts (such as the unprecedented 24-page “Magic Images of New York” layout in LIFE, which appeared in two installments in the issues of September 14 and 21, 1953), and after that in his carefully structured books and exhibitions. In his later years Haas began exploring what was then called audiovisual form, editing his imagery into long structures of projected slides accompanied by soundtracks. “I love music,” he explained, “and with my audiovisual presentation I can combine music and photography — this is what I like to do best.” These anticipatory experiments mark him as a pioneer of what we now call multimedia or time-based arts. Though he might never have abandoned his beloved 35-mm. camera and Kodachrome for electronic camera equipment, it seems likely that, had he lived into the era of digital imaging, he’d have taken up the World Wide Web, the CD-ROM, and other such media as vehicles for his work, testing them for their potential usefulness in his quest for that elusive “new hieroglyphic language of light and time” whose promise lured him on to the end of his days.